Newbury is located approximately 96 km (60 miles) west of Central London, 32 km (20 miles) west of Reading and 45 km (28 miles) south of Oxford. 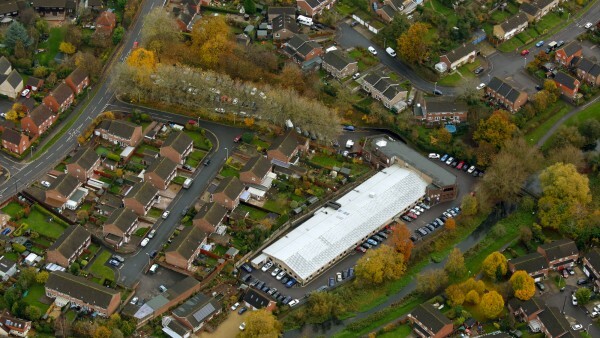 The town benefits from good road communications being located approximately 6.5 km (4 miles) south of Junction 13 of the M4 Motorway, accessed via the A34 dual carriageway. The city is connected to the national railway network with a fastest journey time to London Paddington of 42 minutes. 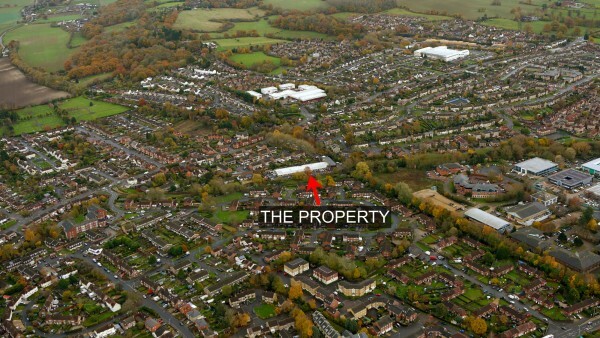 Heathrow International Airport is approximately 75 km (47 miles) to the east. Newbury boasts many historical attractions and places of interest including Highclere Castle, the home of Downton Abbey, and the world famous Newbury Racecourse. 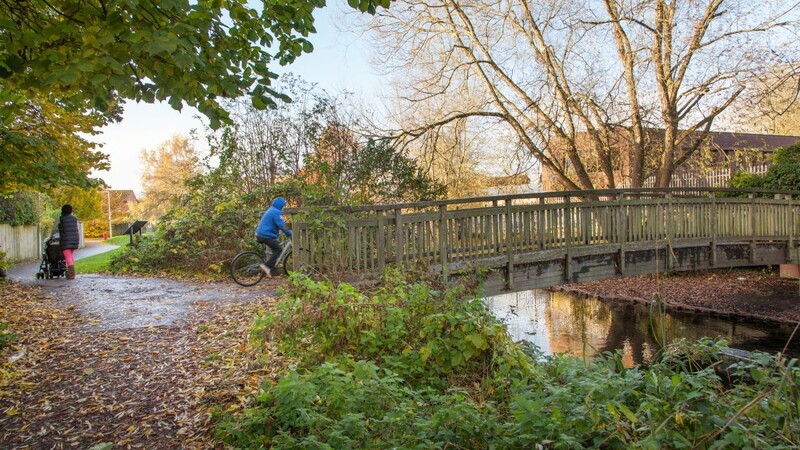 Newbury frequently features in surveys as one of the best places to live in Britain and has one of the most affluent catchments in the United Kingdom with an estimated 65% being classified within the A, B, C1 Social Groups (Source: Parkway Newbury). 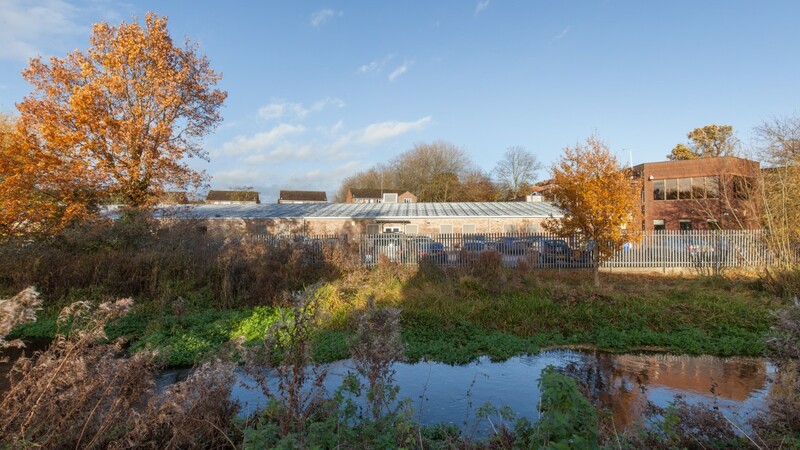 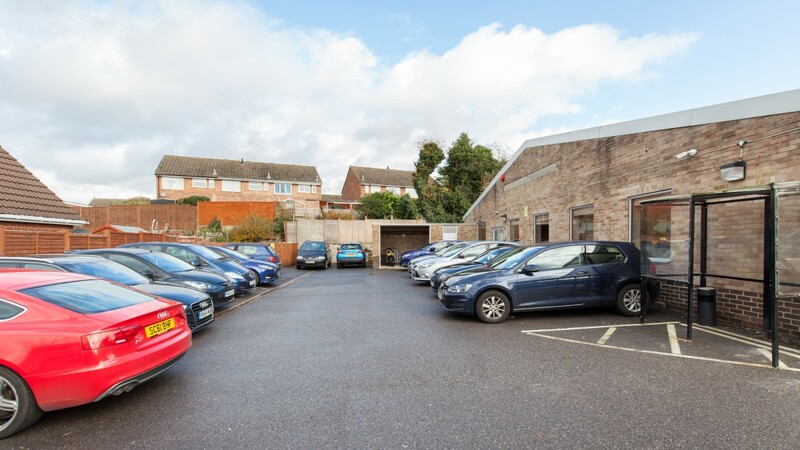 The property is situated to the north east of Newbury town centre in the Shaw suburb of the town, approximately 1.6 km (1 mile) from the main Robin Hood roundabout, which forms the junction of the A4 and A339. Junction 13 of the M4 Motorway is approximately 6.5 km (4 miles) to the north. 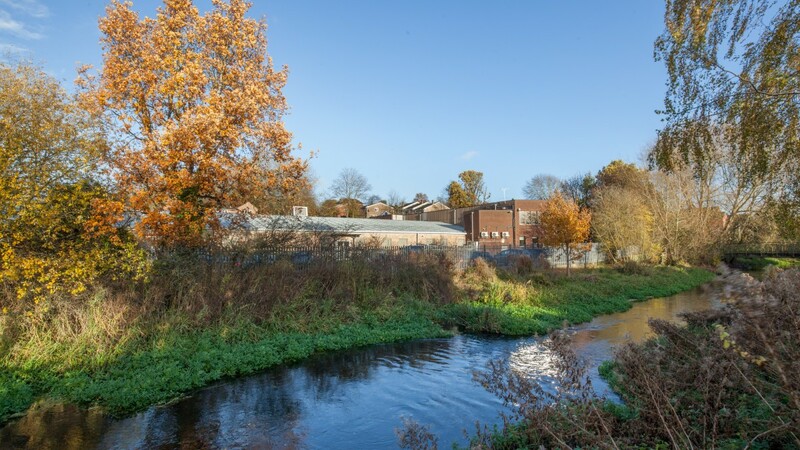 The Shaw area is divided into three sections; Shaw Road, Kiln Road and London Road with the River Lambourn traversing diagonally through. 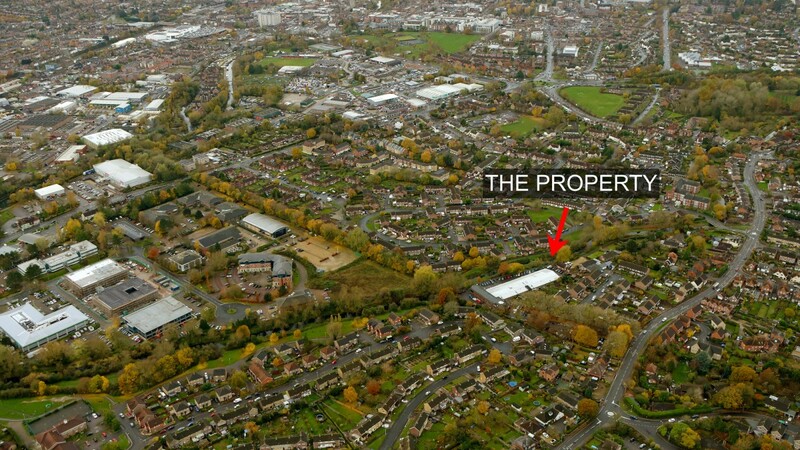 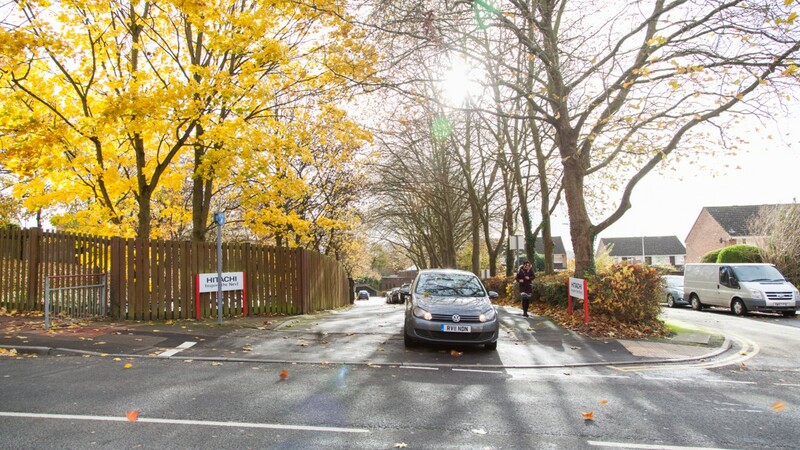 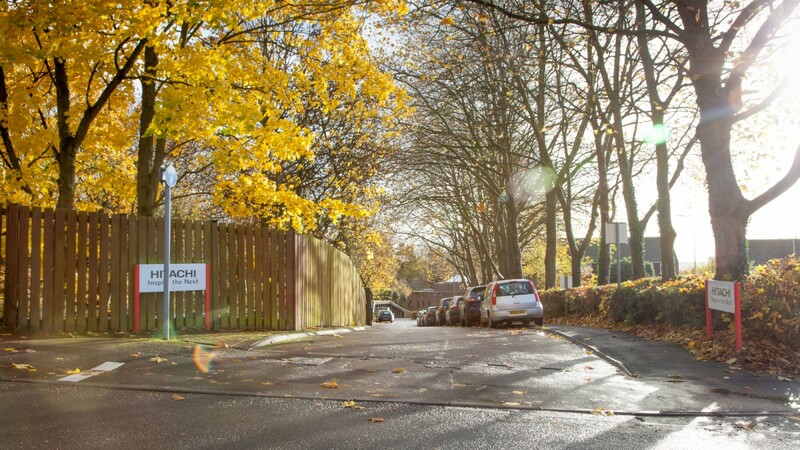 The property accessed from Kiln Road by its own private tree-lined approach. The River Lambourn runs alongside the property with a river walk and residential housing to the southern boundary of the property. 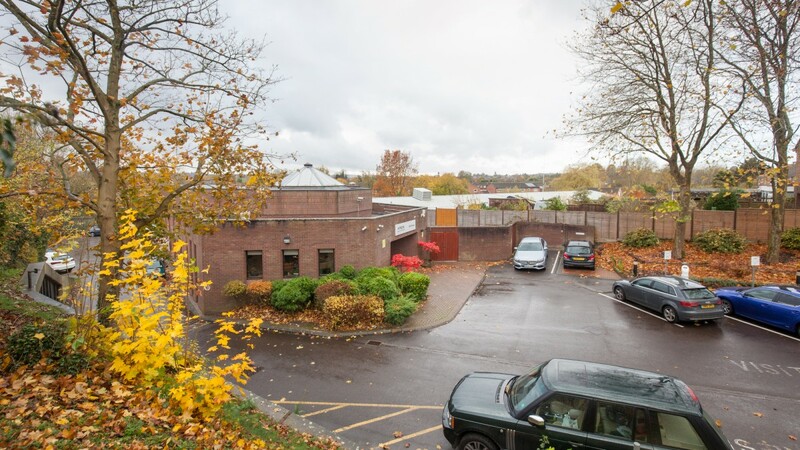 The Shaw area is predominantly residential and we understand it is a desirable area to live in Newbury given its convenient location and good schools. 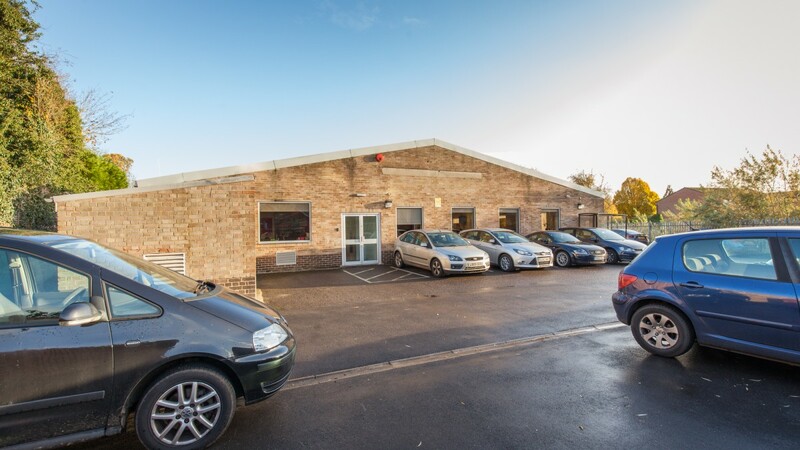 The property is built on an “L” shaped site and comprises a primarily single storey and part two storey office building with car parking provided either side of the driveway and the perimeter of the property to the rear. 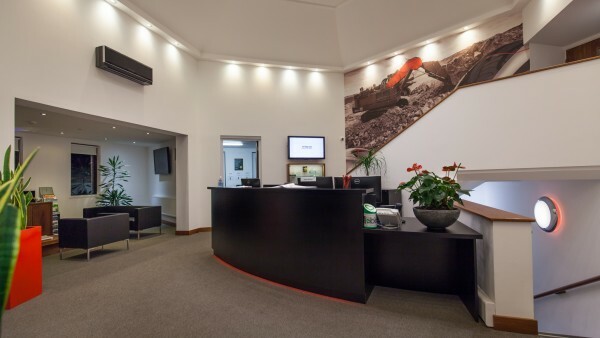 Internally, the layout of the property provides a reception area which is open plan with a seating / waiting area to the left and visitor / guest toilets on the right hand side. 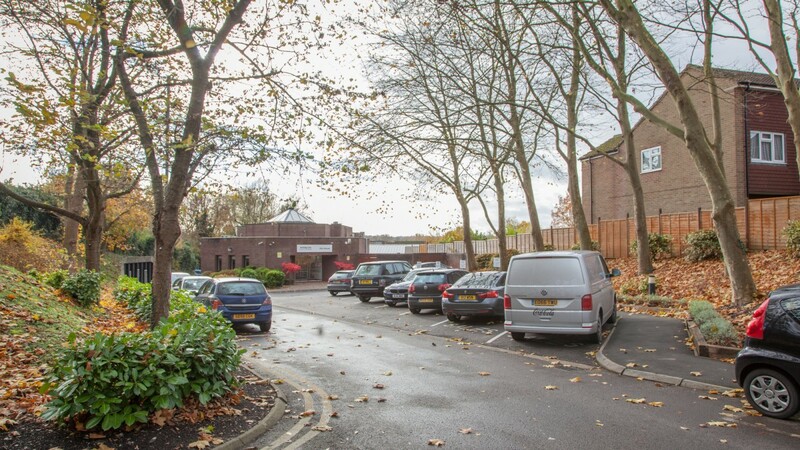 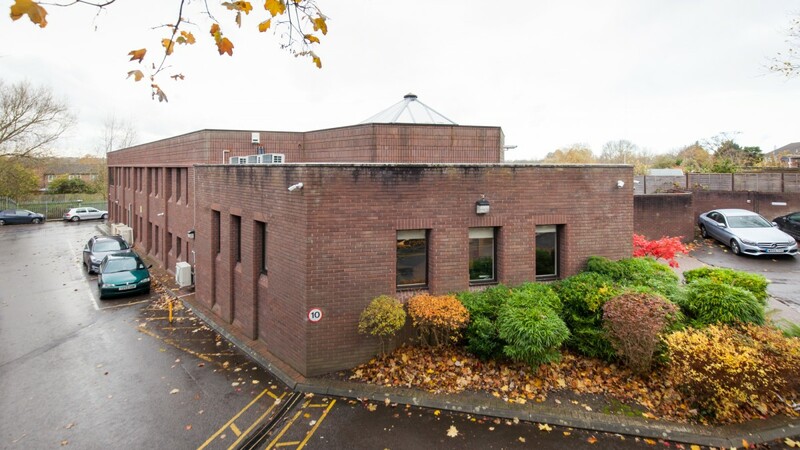 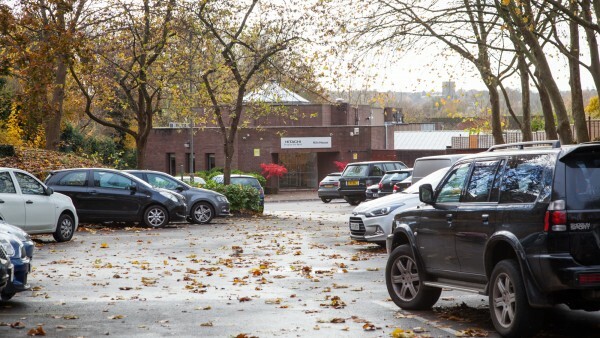 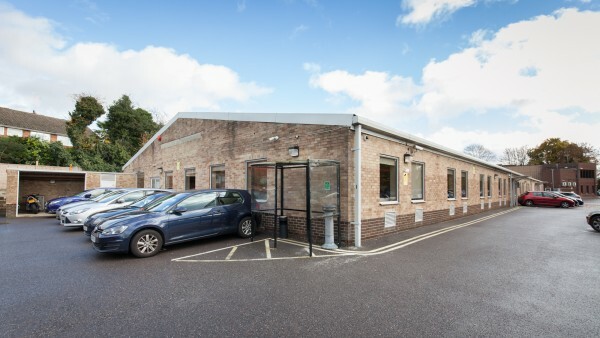 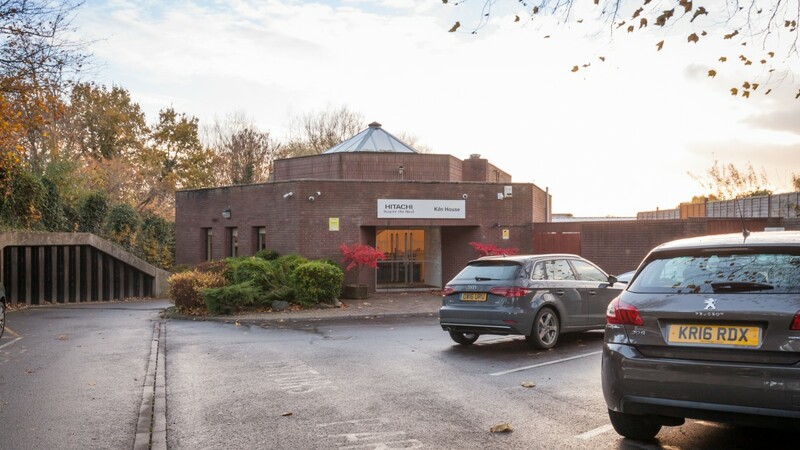 To the right of the reception is an entrance to an interconnecting corridor leading to a large open plan office area with windows along 3 sides facing the car park and the River Lambourn beyond which is separated by a security fence. 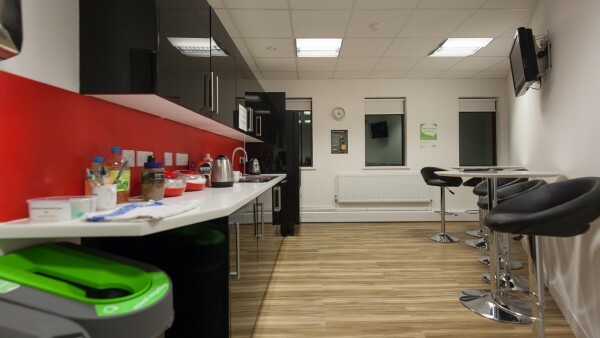 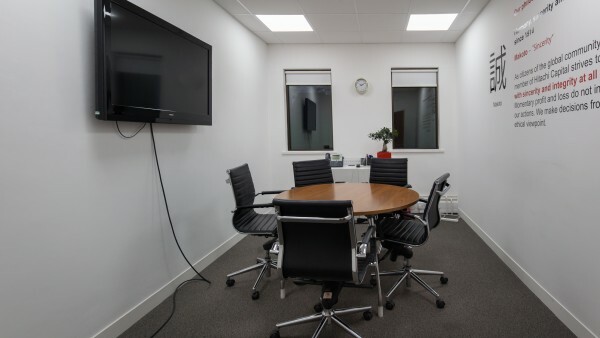 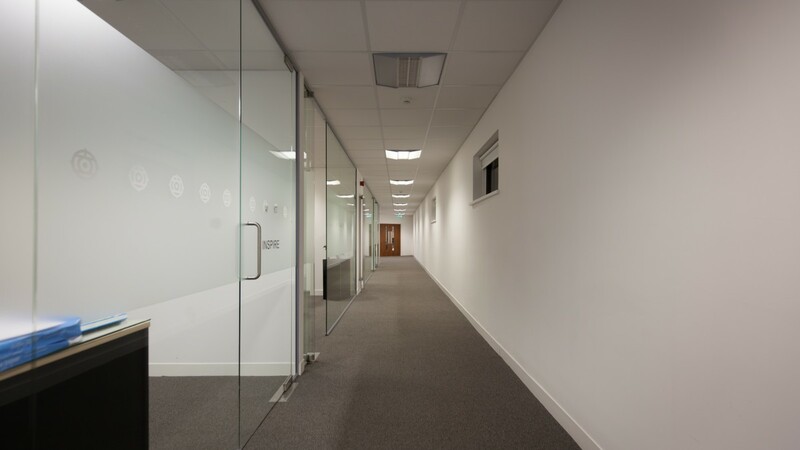 The main office floor is predominantly open plan with various partitioned office and meeting rooms along one side. 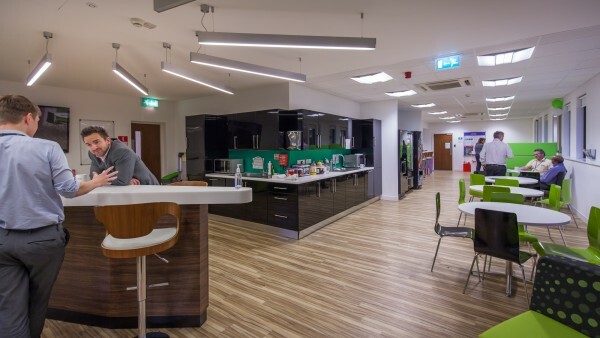 In addition, there are kitchen facilities and break out areas at one end providing booths plus tables & chairs and amenity space. 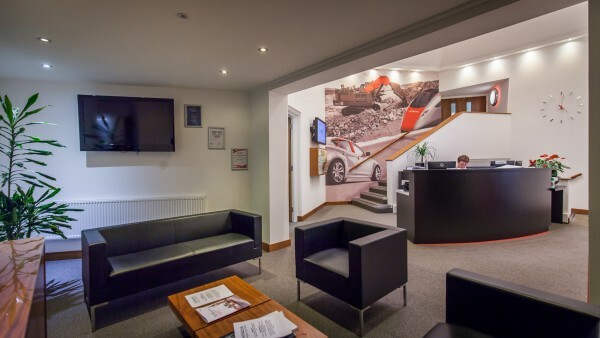 To the left of the reception area is a staircase which leads to the first floor where the tenant has fitted out to provide various meeting and conference rooms. 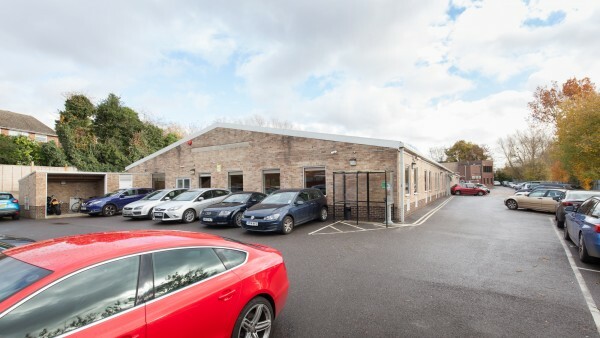 The tenant carried out a comprehensive refurbishment of the property in 2011 to a high specification as shown by the internal photos which are available to view in the Photo Gallery. 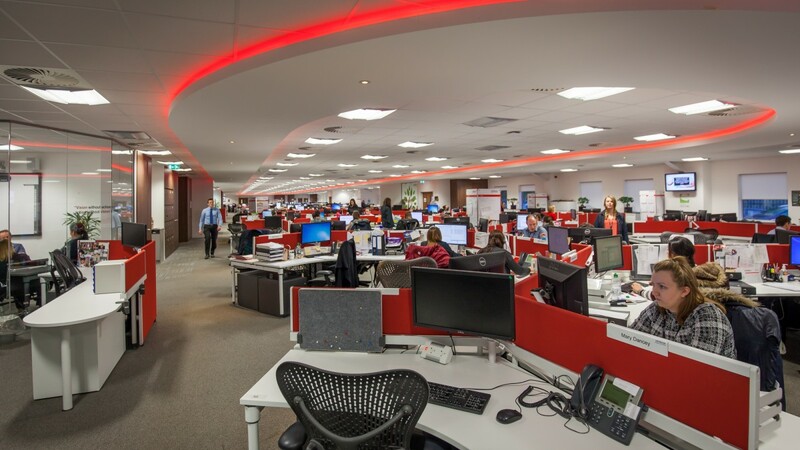 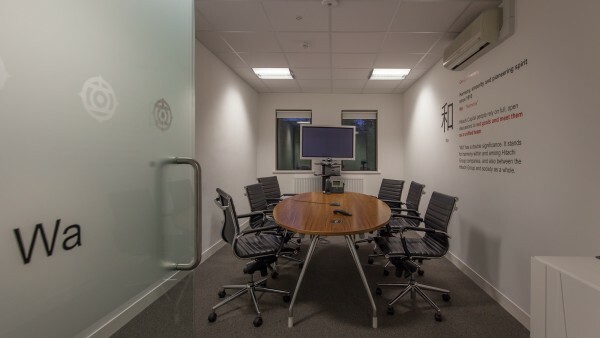 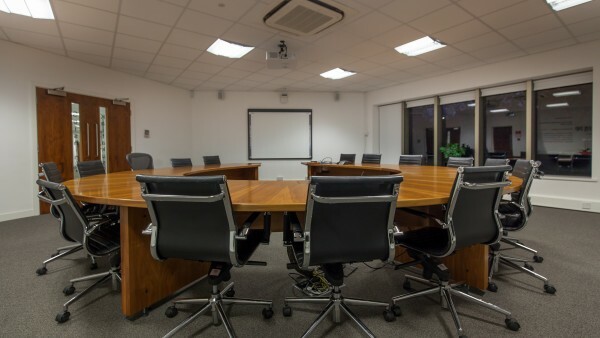 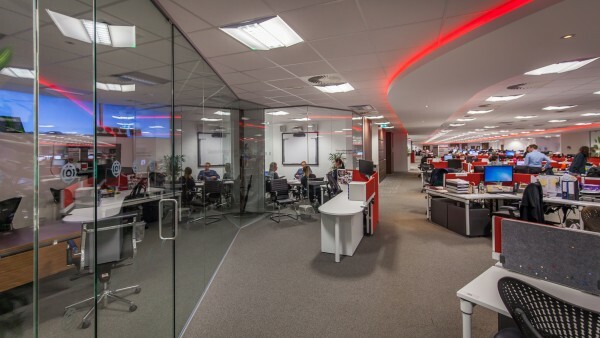 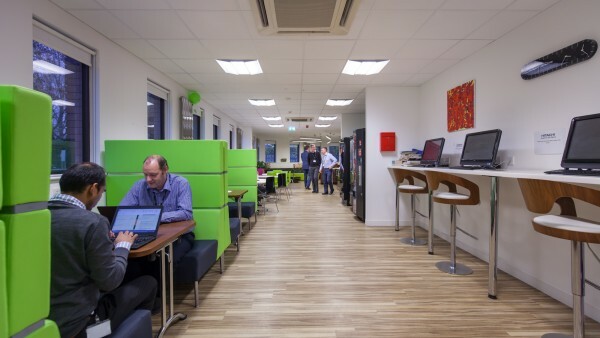 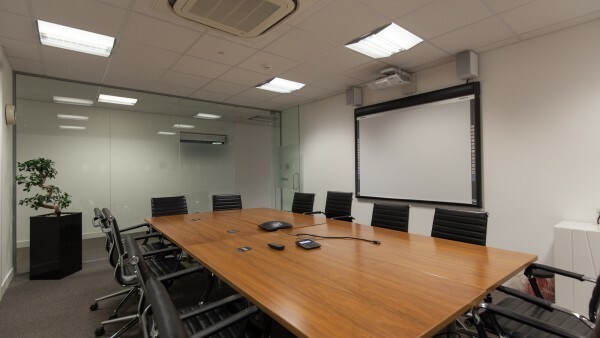 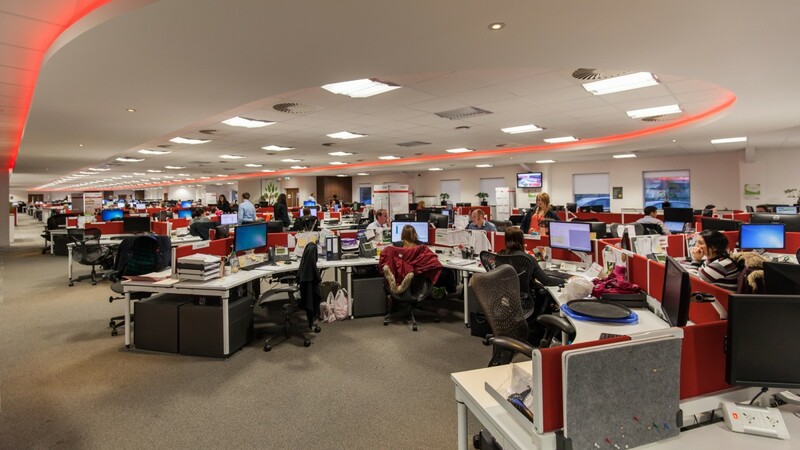 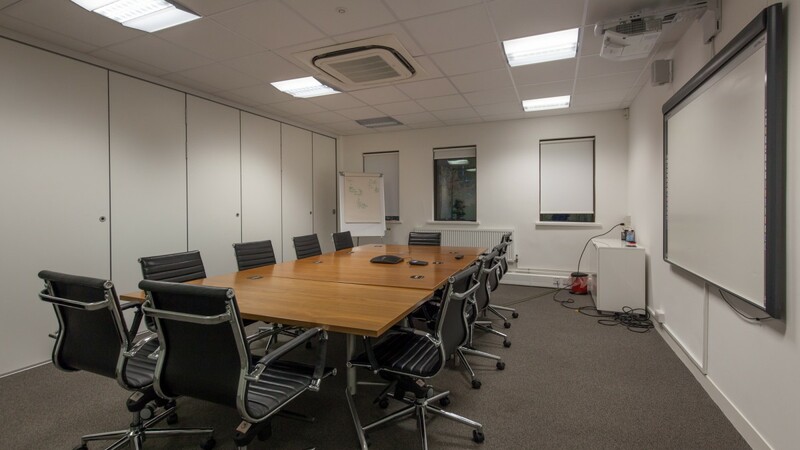 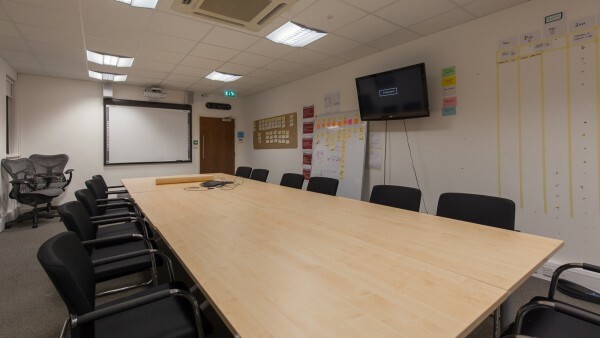 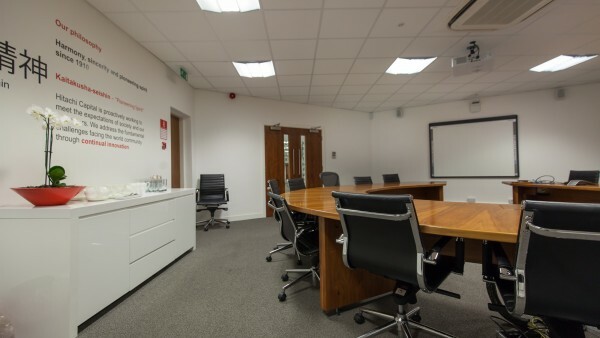 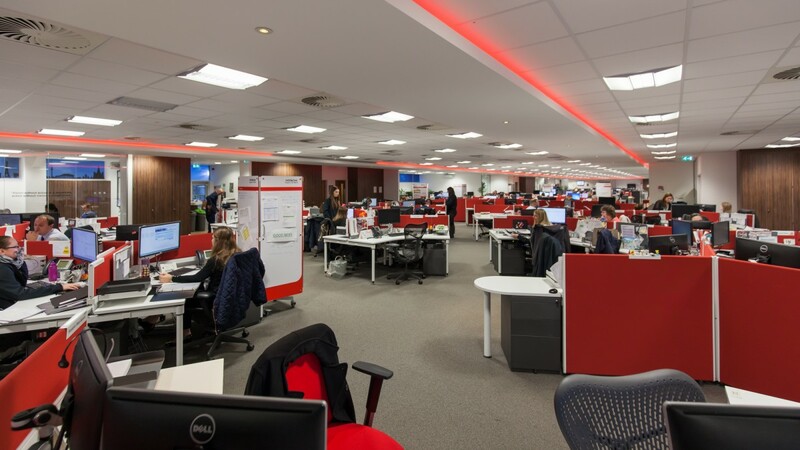 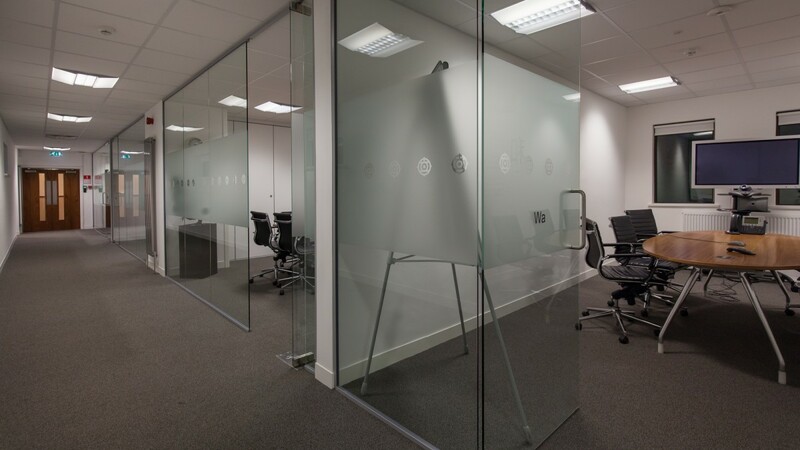 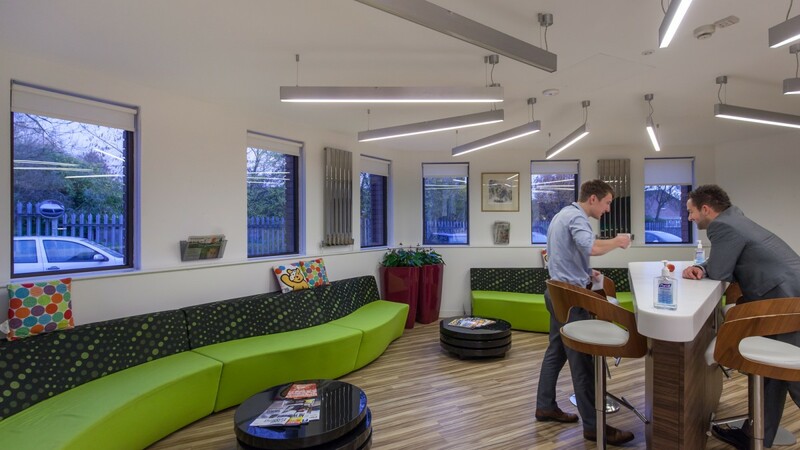 The refurbishment which we understand came to circa £1m consisted of structural alterations, new partitions and ceilings, new floor finishes, new mechanical and electrical services with associated builders works. 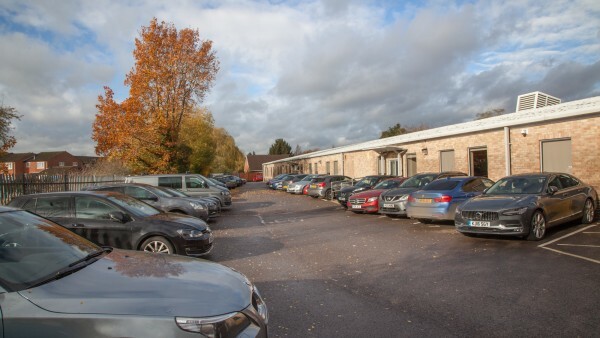 A copy of the Licence for Alterations is available to download in the Data Room. 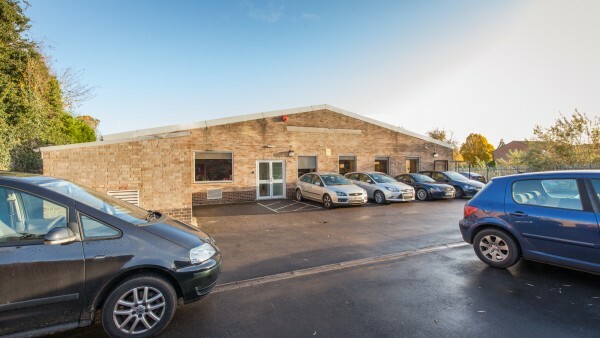 The property dates back to the mid 1960’s when we believe a single storey light industrial building was built on the site. Prior to this the site was part of the railway line which connected Newbury with Didcot. In the 1970’s various planning permissions were granted for extensions to the property resulting in the building which is now on site. 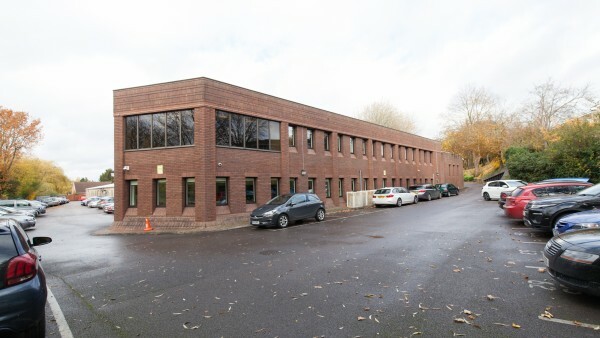 A Certificate of Lawfulness for the existing use as offices was granted in 1998. 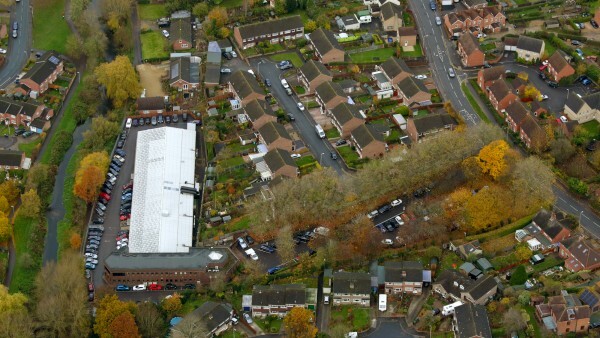 In 1995, an outline planning application was submitted for redevelopment of the whole site for residential. 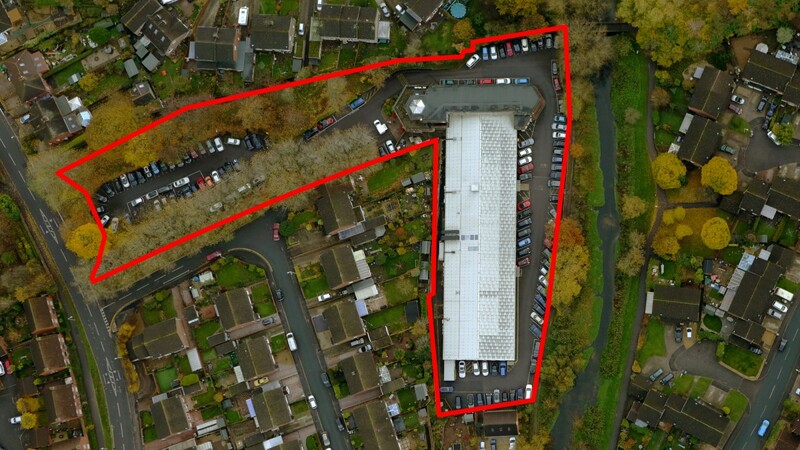 The application was recommended for approval subject to a Section 106 Agreement. The consent was never implemented and subsequently lapsed. 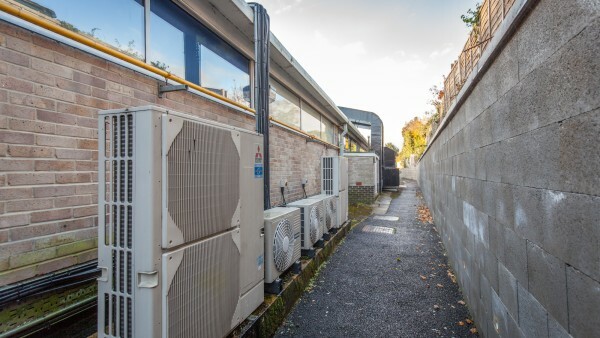 Later planning applications were approved for such works as the installation of air-conditioning and external lighting. 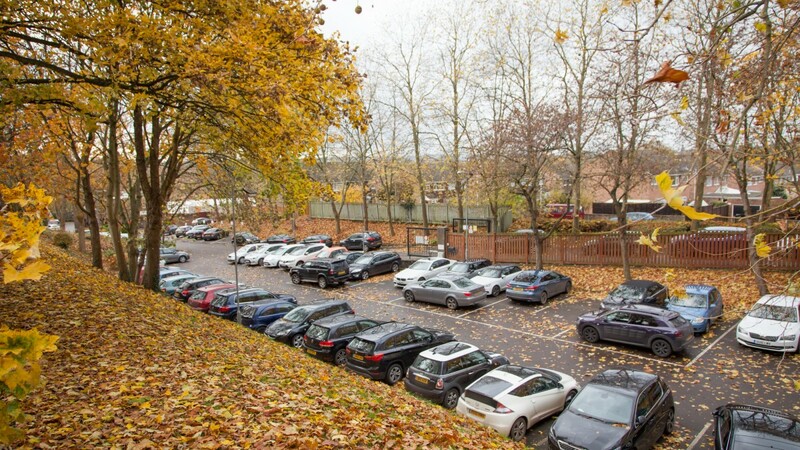 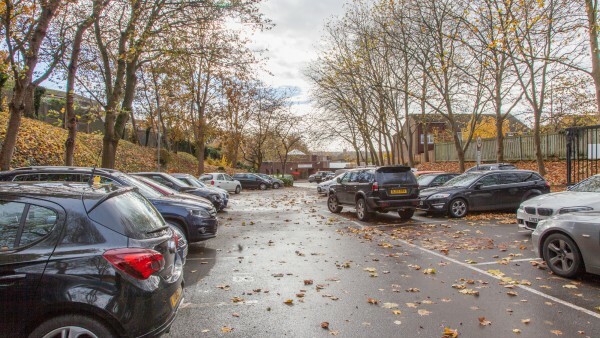 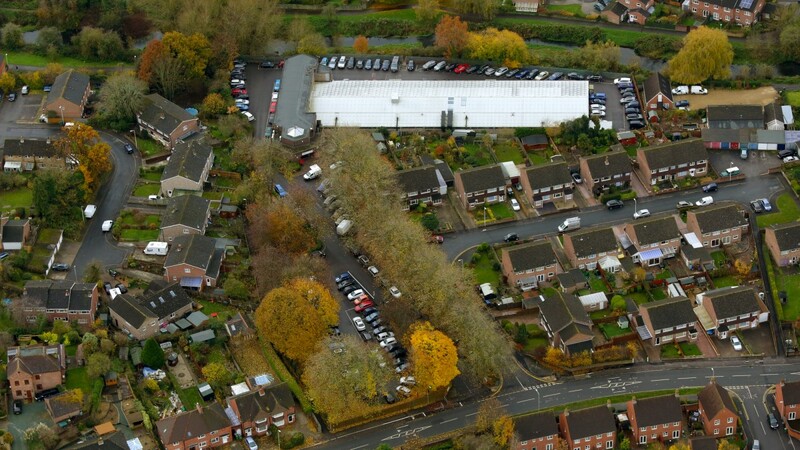 The property benefits from approximately 124 marked car parking spaces providing a ratio of 1:16 sq m / 1:172 sq ft.
We estimate the site area to be approximately 0.77 hectares (1.9 acres). 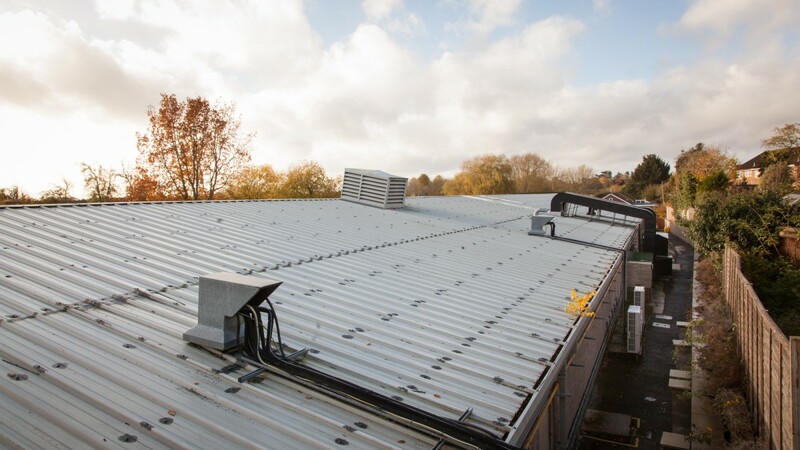 A Phase 1 Environmental Survey has been carried out by WSP UK Limited. The report concluded that the site presents a Low/Medium risk. 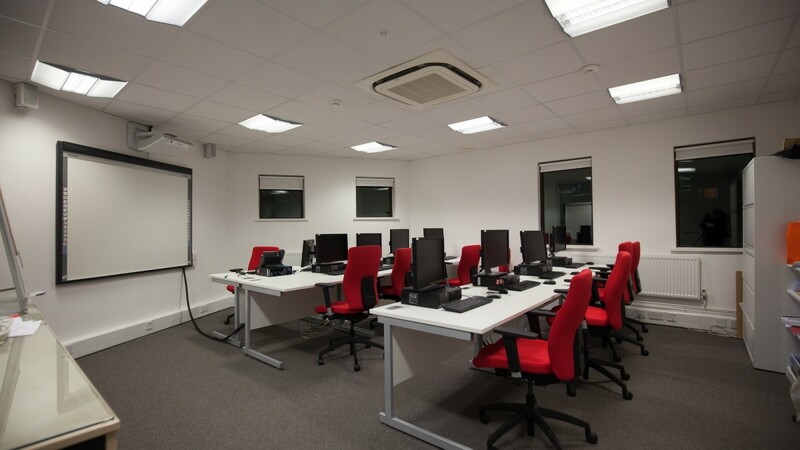 A copy of the report is available to download in the data room and it also available for assignment to a purchaser. We have checked the Environment Agency website to see if the property is in an area at risk of flooding and it confirms the property is an area at low risk of flooding. Click here to see the page on the Environment Agency Website. 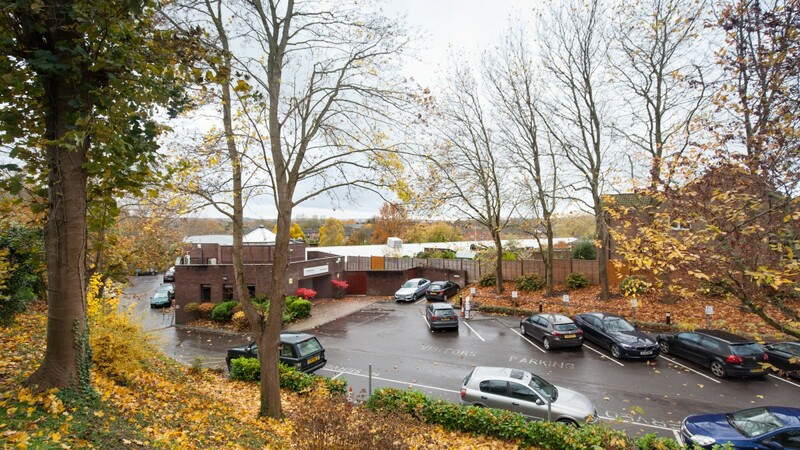 The tenant has been in occupation since 1998 and such is their long term commitment to the property in November 2016 they entered into a new lease 5 years before expiry of their current lease, dis-regarded their 2017 break option and increased the rent payable by approximately 38%. The property is currently let to Hitachi Capital Vehicle Solutions Limited and Hitachi Capital (UK) Plc for a term from 29th August 2010 expiring on 29th December 2021 incorporating a break clause on 29th December 2017 at a current passing rent of £214,200 per annum (£108.08 per sq m / £10.04 per sq ft overall). 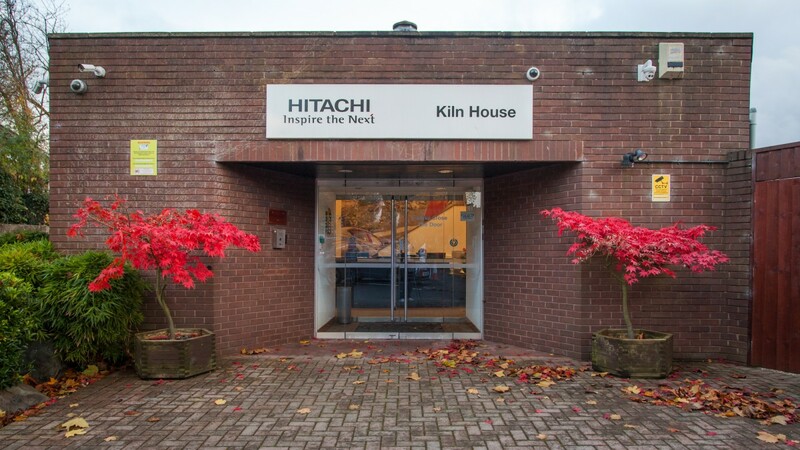 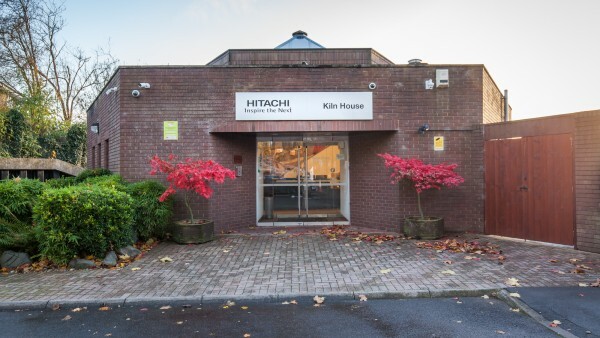 On 7th November 2016 the existing lease was surrendered and Hitachi Capital (UK) Plc entered into a reversionary Full Repairing and Insuring lease for term of 10 years from 25th December 2016 expiring on 24th December 2026, providing an investor with 10 years unexpired lease term. The lease benefits from an open market upward only rent review on 25th December 2021 which also coincides with a tenant’s break option, subject to 6 months’ prior notice. 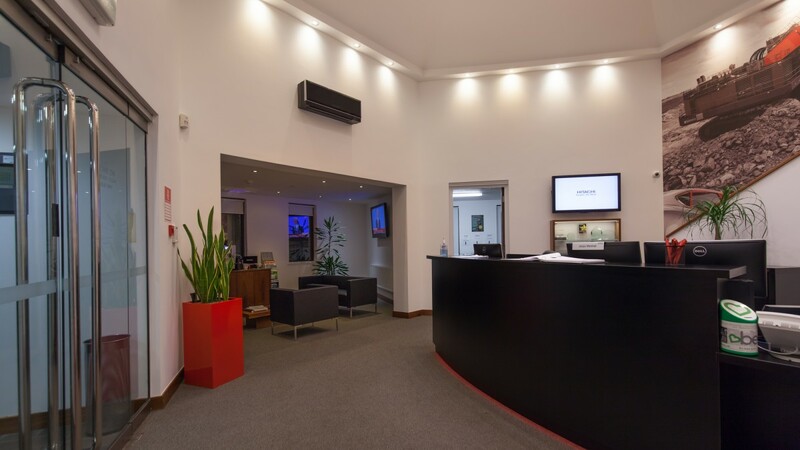 The lease is subject to a Schedule of Condition. The commencing rent under the reversionary lease will be £295,000 per annum which equates to £177.65 per sq m / £13.83 per sq ft overall. As part of the new lease the tenant will receive 6 month’s rent free from 25th December 2016 until 24th June 2017. 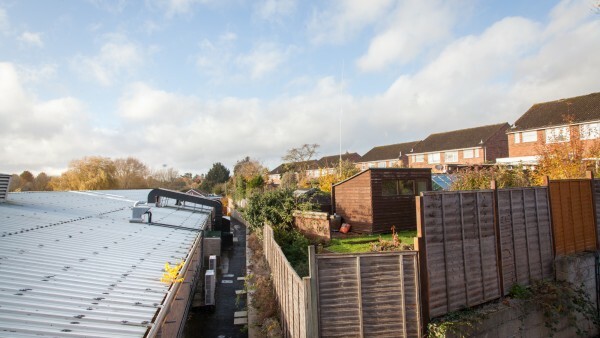 The vendor will cover this rent by way of an appropriate deduction to the purchase price on completion so an investor does not suffer a shortfall. Hitachi Capital (UK) Plc is a leading financial services company with over 1,100 employees in the United Kingdom meeting the financial solutions demands of consumers, brokers and business of all sizes and specialities. The company is a wholly owned subsidiary of Hitachi Capital Corporation, one of Japan’s largest non-bank financial institutions. 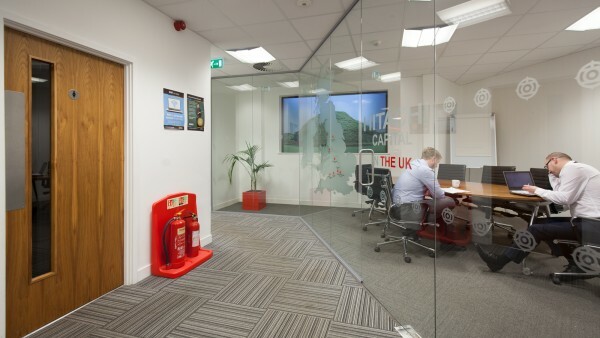 For further information visit www.hitachicapital.co.uk. Subject to the necessary planning consents the location and low density of the site provides opportunities to obtain a change of use to residential in the future. We understand that residential land values in this part of Newbury are circa £1.5m an acre. We are instructed to seek offers in the region of £3,950,000 (Three Million, Nine Hundred and Fifty Thousand Pounds), subject to contract, reflecting a net initial yield of 7.0%, assuming standard purchaser’s costs of 6.53%.